You're as traditional as they come! The same might be said about your favorite cocktail. Made by muddling sugar with bitter, then adding whiskey, and finishing with a final twist of citrus rind. 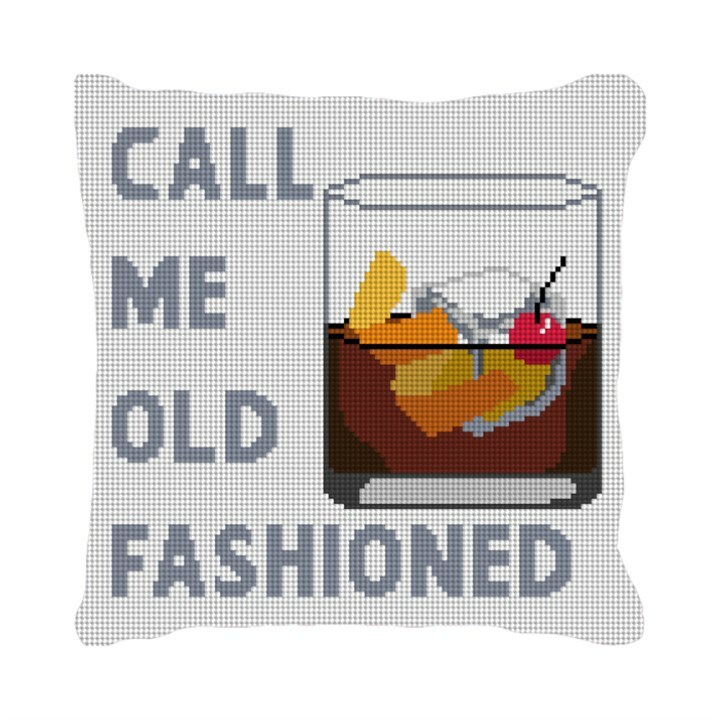 You'll love stitching this needlepoint pillow canvas with a humorous twist. You may be old fashioned, but you haven't lost your sense of humor.